Because one day somebody had the great idea of making the new variant BZ wagons 'drive-through' they have asymmetric folding ends, which means people like me can get away with making just the one master. I started off by making one basic end with no hinge details - cast two copies of that - and added the parts which make them different from one another. The only bit that it's not really practical to cast is the triangular bracing struts which go on the one with the longer hinges - or more that it's not doable in a one piece flat mould like I use. 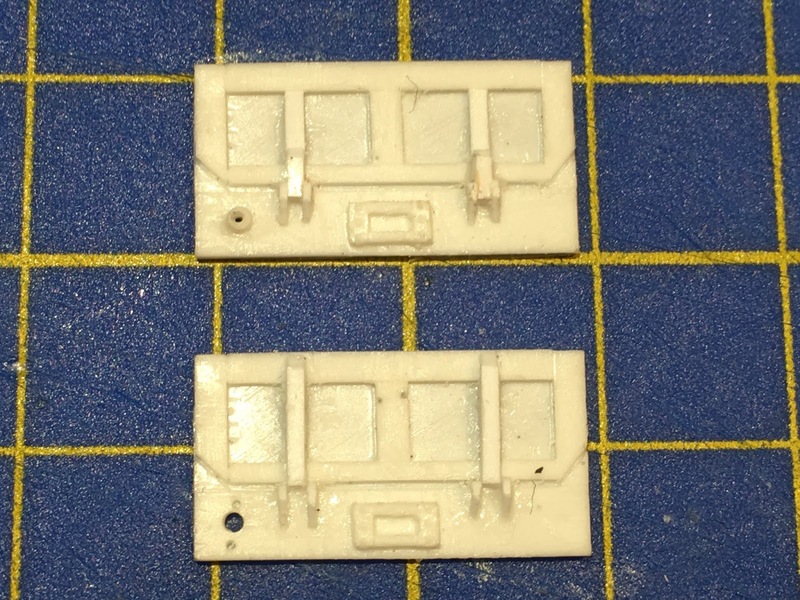 So I've had to form these up out of styrene strip, which was a rather fiddly job which I will not look forward to on the second one. At this point I have the basic kit of parts to form the wagon body. I've cast a second side section and added the grab rail at each end.